In my last post, I covered sharpshooter weapons and other Civil War sharpshooter units. 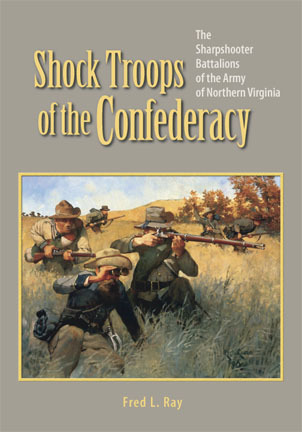 This week, in the last entry for Shock Troops of the Confederacy, we’ll take a look at the evolution of weapons and tactics from 1865 to the end of World War I, take a look at Ray’s conclusions, and briefly discuss the bilbiography, notes, etc. 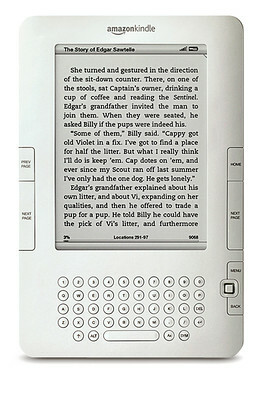 I greatly enjoyed this one, and no less an authority than Bob Krick approves od the book. 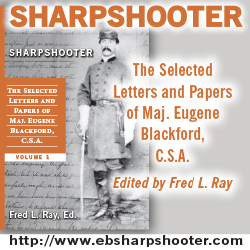 Fred Ray has given us an invaluable resource that future authors can use as a stepping stone for further studies of Civil War era sharpshooters, the “shock troops” of their day. Look for a review of the book (including this entire 11-part series) within the next week or so. I next plan to take a look at Eric Jacobson’s for Cause and for Country: A Study of the Affair at Spring Hill and the Battle of Franklin. The first post in that series should also appear within the next week or so, but I make no promises.